← Count me in but are you ready to work in the cloud? What might China have done if the U.S. Election had been delayed one week? It’s now Wednesday and the day after the U.S. Election and the day before the announcement from China as to who will make up the members and new leadership of the PRC Politburo or standing committee. Barack Obama has been re-elected by a slim margin in the popular vote but a larger margin in the archaic Electoral college. As you know there are no elections in China so the ‘announcement’ is (is The Announcement like Lebron James’ The Decision’? ), more of a matter of a revamped distribution of power than anything else. Also of interest is that the Politburo in China normally has 9 members but indications are that there will now be only 7 members making them just that much more powerful. There was some discussion in the U.S. (which did not appear to be all that serious) regarding postponing the election due to the impact of Hurricane Sandy on the eastern U.S. With all the talk from both U.S. candidates on China I started thinking about what might have happened had the U.S. actually postponed the election until after the announcement from China of the new committee members. When the PRC in China announced the date of November 8th for new members on the standing committee, it was not by accident that the date was two days after the U.S. election. Had the U.S. postponed the election by three days or more would China have delayed its announcement of the new committee? 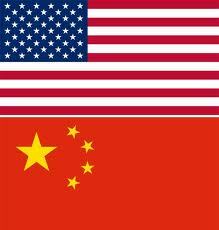 The matter of who is elected in the U.S. Presidential race is of great interest to the Chinese. Had Mitt Romney won the election would that have changed the makeup of the PRC standing committee? Would another hardliner or more hard liners have been included? Is it possible that by the U.S. delaying the election that might have resulted in China tipping its hand by delaying its announcement? Does China view that there would be a marked difference in how it will interact with the U.S. in an Obama administration versus a Romney administration? I would suspect that the PRC feels it has a reasonable understanding of how President Obama and his administration process issues. That would not be the case with a Mitt Romney White House although I can’t say I know exactly how China perceives differences between the two. Of course we’ll never know but it would have presented an interesting dynamic. As an American I am probably overestimating the interest the PRC actually has in the result of U.S. elections. But it’s something I was thinking about. Do you think the PRC might have delayed its announcement had the U.S. delayed Election Day? This entry was posted in World Poltics and tagged Barack Obama election, China standing committee, Lebron James The Decision, Mitt Romney, No elections in China, Xi Jingping. Bookmark the permalink. 2 Responses to What might China have done if the U.S. Election had been delayed one week? Based on what I have learned from you along the way, it seems as if rules in China are made to be broken. With that said, if it was in the interest of the PRC to delay, they would have certainly done so. So after a day of voting, my vote on your question is…….YES! Interesting that you feel it’s possible too. I thought I might be a bit out there on this one..